I get afraid, very afraid, when somebody, anybody, prescribes to me which books to read and not to read. When somebody gives me a template of what African literature ought to look like. And boy! You can imagine the shock I got when I read an article on okayafrica.com written by the gifted Siyanda Mohutsiwa, in which she gave a prescription for African literature, authenticating some forms and denouncing another. Is literature that features distant places other than Africa un-African? 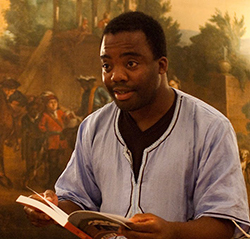 “Perhaps I had begun to truly believe that the importance of African literature was to connect us ordinary Africans to each other’s lives,” Mohutsiwa writes. Although I can appreciate this desire to connect, my problem with formulations such as these are their implicit prescriptions. African literature should have African characters. African literature should be set in Africa. African literature should address African issues. African literature should feature at least some folklore. African literature can only fit into this box. Nonsense! I wrote a novel some years ago which was set in a European city. It only had white characters (no Africans, not a single black person in it). I sent it to an agent in London. It was accepted. The agent sent it to a publisher. It was accepted and was on the waiting list for publication. But then something happened. The publisher discovered that I was African and he said, wait a minute, this is not African literature. Did you say the author is African? I am sorry, I can’t sell this as African literature. See, the problem here is prescription. Why is it acceptable for a western writer to come to Africa and write about Africa without having people raise their eyebrows? Does an American writer who sets his novel in Kigali cease to be an American writer or does it make him any less American? I was reading in Copenhagen at a festival alongside Billy Kahora and Nadifa Mohamed when someone in the audience asked Nadifa, “But how relevant are you as an African writer when you live so far away from the continent?” I quickly sought for clarity. What did he mean by relevance? See, my duty as a writer is to write. I am not a custodian of my culture. I am not a spokesperson for Africa. I am not a teacher. I am not one to “connect people through my writing.” As much as I may be all of these things, I am simply a writer. An artist. Writing is in the first place an art and it does not have any boundaries. I can set my stories in the galaxy just as I can set them in my home village in Katonda, in Malawi. Isn’t that what Shakespeare the English playwright did? Setting Antony and Cleopatra in Rome and Egypt, Romeo and Juliet in Italy in Verona and Mantua, Much Ado About Nothing in Messina, a port on the island of Sicily and the list goes on. Did that strip him of his right to be recognized as one of the greatest writers to have come from England? So what does the author of this article mean, when she says, “I cannot hide the small and perhaps arrogant joy that comes to me when I know that all I create is 100% inspired by my uninterrupted African life”? Who says that African authors should only be inspired by Africa and only set their stories in Africa and only talk about Africa? I think we are missing it. We are making our works to be those that are, in the first place, laden with subject, vehicles that carry messages, a medium and a means to an end, yet literature is full and beautiful in itself. At the end of my presentation, as I walked out of the hall, an old lady stopped me because she wanted to tell me, “If it’s a good story, it’s worth telling no matter how many people have talked about it.” She was right. It’s about the art, the beauty of it. Therefore let nobody put me in a box in terms of my reading tastes. I will read Niq Mhlongo’s Way Back Home, just as I will read Nnedi Okorafor’s Binti, I will read Chimamanda’s Half of a Yellow Sun, just as I will read Jennifer Makumbi’s Kintu. I am not done with African immigrant literature just as much as I am not done with African non-immigrant literature. That’s why I am so much in love with Teju Cole’s Open City. The concept of the book is based on a foreign and western idea. In times of war, when a city felt that its capture was imminent, its authorities would sometimes declare it an open city. The city would drop its weapons and cease to defend itself. The enemies would just walk in without causing damage to either people or things. The concept aims at protecting the city’s historic landmarks and resident civilians from an unnecessary battle. The idea here is the appreciation of art. 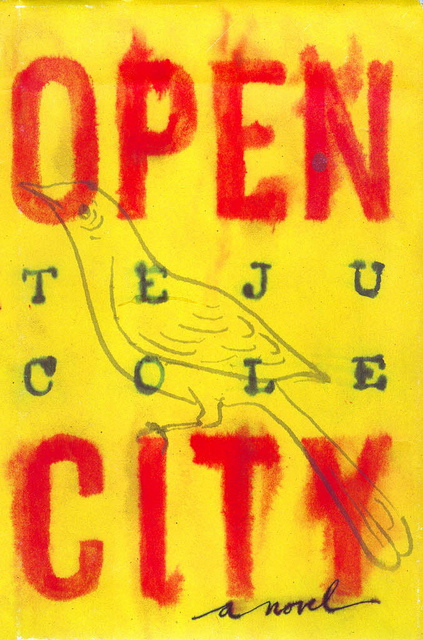 Teju Cole’s novel, Open City, is almost plotless. Its primary focus is the art of literature and the appreciation of art in general. Oh! How I wish we’d captured this enigma—that art has no boundaries and that artists are citizens of the world. How I wish we’d come to a level of appreciating art more than anything else that accompanies it. How I wish we’d done away with all this boxing, all these templates, all these unnecessary prescriptions. How I wish! Africa Utopia – Hacking Africa? Ah, yes. Thank you. I badly needed to read this. Reblogged this on Safari Scene. This is so damn beautiful! If you only read one thing today, make it this one! So damn beautiful. Reblogged immediately! Reblogged this on africanwomanspeaks . Deep. Insightful. The problem is we have for eons been psychologically conditioned to reason the way we reason. Africans – writers, politicians, academics, etc. – need to commence the psychological exertion called “decolonization of the mind”, now. It’s the only way to think like a member of humanity without feeling someone out there would feel such thinking is reserved their class or race. It’s the only way to make Africa become a partner-continent, not a slave-continent, among the continents of the world.